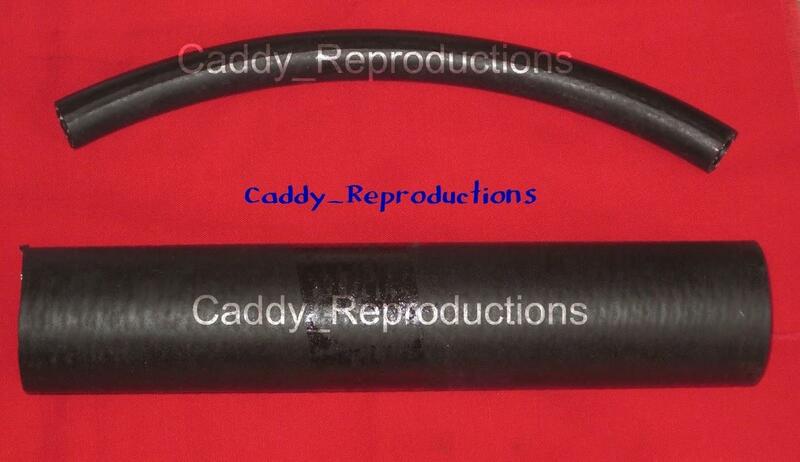 ~~Here is a Pair of Fuel Filler Hoses (Gas tank to Filler Tube) to fit your 1957 or 1958 Cadillac. These are the correct diameter & the larger hose is aprox. 6" in length. The smaller Hose is 12" in Length. You may need to cut it down to fit your application. We do have the Original Style clamps available in our store. Please check our store for them.